The special counsel Robert Mueller reportedly didn’t need the former Trump campaign deputy chairman Rick Gates’ cooperation against the former campaign chairman Paul Manafort. Instead, Mueller wants to know what Gates knew about the Trump campaign’s contacts with Russia during the 2016 US election. Gates was a key player during pivotal moments in the campaign, and his vastly reduced plea deal indicates he has information of significant value for Mueller. 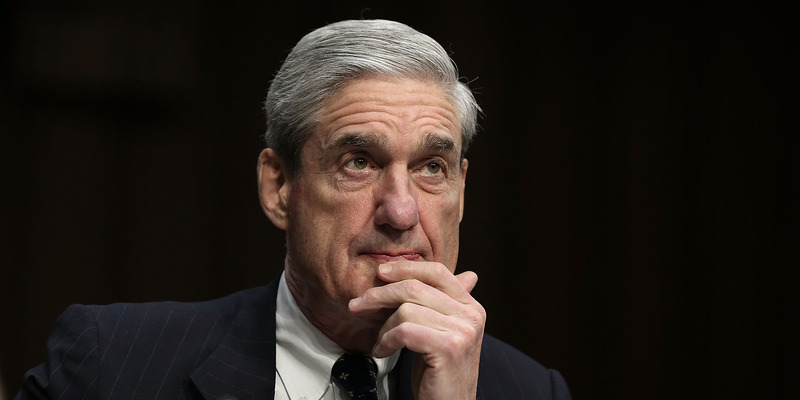 Thursday yielded another clue about how the special counsel Robert Mueller is now going after bigger targets in the Russia investigation. CNN reported Thursday evening that Mueller’s team told Rick Gates, the former deputy chairman of President Donald Trump’s campaign, that it wasn’t interested in gaining his cooperation against Paul Manafort, the former chairman who is Gates’ longtime business associate. Instead, CNN reported, Mueller’s team wanted to know what Gates knew about the central question in the Russia investigation: the Trump campaign’s contacts with Russia during the 2016 US election. The development indicates Mueller’s office has enough information to continue pressuring Manafort in the Russia investigation. Both Gates and Manafort were charged with dozens of counts related to tax and bank fraud, money laundering, and conspiracy against the US. Manafort has pleaded not guilty. But last month, Gates flipped in the investigation, pleading guilty to one count of conspiracy and one count of lying to investigators. His vastly reduced plea deal indicated that he gave Mueller something of substantial value related to the collusion inquiry. On Tuesday, Mueller’s office drew the most direct link yet between the Trump campaign and Russia, revealing in court filings Gates was aware he was communicating with a shadowy operative with ties to Russian intelligence at the height of the election. But because Mueller did not need Gates’ cooperation against Manafort, per CNN, the information he provided to the special counsel was most likely unrelated to Person A and the former Trump campaign chairman. Gates was a key player during pivotal moments in the 2016 race, and even afterward. Among other things, Gates was present when the campaign moved to gut an amendment to the GOP platform that called for increased US aid to Ukraine; when top campaign operatives, including Manafort, met with two Russian lobbyists offering dirt on the Democratic nominee Hillary Clinton at Trump Tower in June 2016; and when Russia-linked hackers breached the Democratic National Committee and subsequently disseminated the stolen materials. “Was he in strategy meetings? No. But he was an implementer,” one person close to Gates told CNN. While he may not have participated in the meeting with the Russian lobbyists offering dirt on Clinton, “he would be the kind of person who would probably know that,” the person added. Trump’s lawyers have said he had no knowledge of the meeting, which was pitched to the campaign as “part of Russia and its government’s support for Mr. Trump.” But at least two former administration and campaign officials have suggested the president knows more than he’s letting on. In addition to investigating whether Trump had prior knowledge of the Trump Tower meeting, Mueller is examining his role in crafting a misleading statement his son Donald Trump Jr. issued when it emerged that he was one of the main participants in the meeting. Trump is the focal point of the obstruction-of-justice case Mueller has been building since last year, which centres largely on the firing of James Comey as FBI director. But he has also emerged as a subject of interest in the collusion thread. Earlier this month, reports surfaced that Mueller was looking into whether Trump had prior knowledge of Russia’s plans to hack the Democratic National Committee, whether he was involved in coordinating the release of stolen emails, and why he endorsed Russia-friendly policy positions during the campaign. Investigators are said to be interested, in particular, in Trump’s public appeal in a press conference on July 27, 2016, for Russia to recover deleted emails of Hillary Clinton, then the Democratic presidential nominee. “Russia, if you’re listening, I hope you’re able to find the 30,000 emails that are missing,” Trump said at the time. The special counsel’s scrutiny comes as Trump’s legal team is angling to sidestep a face-to-face interview between Mueller and their client, who has shown a tendency to exaggerate the truth. “The one specious thing about Trump’s lawyers’ strategy is that they’re saying there’s no substantive focus on Trump when it comes to the collusion inquiry, that this is all about obstruction of justice, and that Mueller already has everything he needs from other witnesses and documents for the obstruction case,” said Andrew Wright, who served in the White House counsel’s office under President Barack Obama.